Water at Risk - What can Finland do to the Global Thirst? Summaries for both days are available after symposium. Water at risk. What can Finland do to the global thirst? Global water consumption increased six-fold during the last century. Water resources are not distributed evenly, and in ten years, two thirds of the world’s population will have less water than they need. What competencies and responsibilities does Finland have in this global framework? What can we do to global thirst? The Nessling Foundation symposium 21–22 March 2017 tackles the critical question of water at risk. The plenary talks highlight state-of-the-art knowledge on the role of water in societies, environment, livelihoods, and industry. The parallel seminars with small-group discussions, flash talks, and interviews focus on the possibilities for decision-makers, scientists, and small and large companies to provide innovative solutions for the global water related challenges. 80% of the global waste water is untreated. The lack of clean water can destabilise societies and lead to hunger, poverty, conflict, and migration. World Water Day, held annually on 22 March, highlights the safe management of waste water as an efficient investment in the health of humans and ecosystems, and as a valuable resource in the circular economy. The symposium joins World Water Day and asks how science, industry, and decision-makers together can help shape our future to have clean water for all. Traditionally, the Finnish water sector has gathered each year on March 22 at the World Water Day Seminar organized by Water Association Finland. This year, we have joined our forces and welcome you to our symposium! The event is free of charge and open to researchers, students, companies, decision-makers and general public. Opening words. Aims of the symposium. 11:00 – 11:15 Interactive discussion among audience. Questions for plenary speakers. 11:15 – 11:45 INTERVIEW with Keynote & Plenary speakers. 13:00 – 14:30 INTERACTIVE PARALLEL SESSIONS on the connections of water and societies. The role of Finland in the global setting: connections, responsibilities, opportunities, competences? 16:00 – 18:00 Pitch talks with drinks and snacks. 9:15 – 10:00 KEYNOTE: The global waste-water problem. Dimensions and impacts. Sarah Gillman, Water UK. 10:00 – 10:30 PLENARY I: Waste water in different industry sectors. Results from Nessling research project “Towards water-smart circular economy”. Jani Salminen, Finnish Environment Institute. Comments and discussion with Rauni Karjala, Water Association Finland. 10:45 – 11:15 PLENARY II: Legal perspectives to waste water issues in Finland. 11:15 – 11:30 PITCH TALKS on water-smart business by Stora Enso and Vihreät Vaatteet (Green Clothes). Awards and book launch by the Finnish Water Association. Professor of water engineering at Aalto University and holder of Matti Pursula Professorship. Professor Varis is an internationally distinguished and recognised researcher in water and environmental issues with a specialisation in global water resources as well as the interaction between development and sustainable use of natural resources. Member of the Finnish Parliament. He has twice served as a minister. In 2014 he was appointed as Foreign Minister’s Special Representative for African Crises. He has worked as the European Union Special Representative in Sudan and Darfur (2005-2007), and as Special Advisor for the UN in Darfur peace process. He has led several missions to conflict areas as the Chairman of UNEP’s post-conflict work in 1999-2005. Professor of law at Northumbria University, Newcastle. His research focuses on transboundary water cooperation, sustainable development and international law. He has published and edited over 55 books and articles on these subjects. Rieu-Clarke has also participated in numerous international multidisciplinary research projects to explore the role and relevance of legal instruments in fostering transboundary water cooperation. Practice Leader, Freshwater at WWF International. He is interested in devising and testing new approaches to conservation through engaging drivers, the water-food-energy nexus, economic incentives and water-related risk. He has published widely on these and other topics while also acting on various advisory panels and boards ranging from the World Economic Forum’s Water Security Council to the IFC Infrastructure & Natural Resources (INR) Advisory Steering Committee. Member of Supreme Administrative Court of Finland. Kuusiniemi has worked as a professor of environmental law at University of Turku and economic law at Helsinki University of Technology. Kuusiniemi has published extensively on environmental law and he has contributed as specialist in several legislative initiatives of environmental law. Chartered Scientist and Environmentalist in the R & I Department of Scottish Water. Gillman represents Water UK on EurEau and is Chair of the Compliance WG. During over 20 years, Sarah has led work on sustainable urban drainage in Scotland and developed new approaches to catchment management for the protection of drinking water sources. She has extensive experience of environmental regulation and is currently developing new ways for the water industry in Scotland to accept and adopt new technologies for water and wastewater services. Doctor, Senior Research Scientist at the Finnish Environment Instiute. Salminen leads “Towards water-smart circular project” research project funded by Maj and Tor Nessling foundation. The project explores the links between water and circular economy and creates solutions to sustainable use of water in circular economy in Finland and globally. D.Sc, Chairman of the governing board of the Nessling Foundation. She works for the Confederation of Finnish Industries, and is also a Member of the European Economic and Social Committee. She has a long experience in environmental, industrial and sustainable development affairs with regard to national, European and global policies. Before the business organizations, she worked for the Ministry of the Environment and for the National Board of Waters. Corporate Responsibility Director of the Fazer Group. Elomaa is passionate about sustainability and believes in positive development in the role businesses has in tackling the sustainability challenges facing the globe. She has wide experience in different fields of business, such as energy, sourcing and corporate responsibility. At Fazer Group, her area of responsibility covers Corporate Responsibility, including the bakery, confectionery, food service, milling and café businesses. Minister for Foreign Trade and Development and a member of the Finnish Parliament since 2015. Kai Mykkänen has served as a member of the Parliamentary Environment Committee and Grand Committee, drawing attention to environmental issues, particularly clean energy and the Baltic sea. 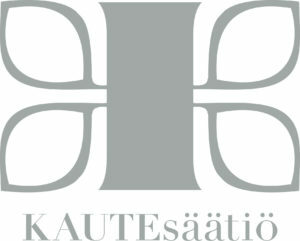 Previously, he has worked as director in the Confederation of Finnish Industries. Director of NIRAS International Consulting (NIC) the largest business unit within the NIRAS Group. NIC delivers advisory services primarily in developing countries and held almost 300 contracts, working in more than 70 countries around the world in 2016. Mr Lundström has a long career in sustainable development and corporate management. He is strongly involved in integrating the SDGs into NIRAS Grop’s corporate strategy, including in Scandinavia and the U.K.
Senior Partner at Voda Nordic in charge of process consulting and water treatment chemicals for municipal and industrial customers. With a career of 30+ years in water related businesses, Jantunen's key role has been to campaign for recovering and recycling nutrients from wastewater around the Baltic Sea. Corporate Responsibility Coordinator at Finlayson, a Finnish textiles company. Ojala is responsible for developing Finlayson’s ongoing Corporate Responsibility work, for internal and external corporate responsibility communication, stakeholder collaboration and networking, reporting and setting up the company’s responsibility targets for the year 2020. Visiting Senior Fellow with the Finnish Institute of International Affairs. Prior to this Ruohomäki was the Deputy Director for South Asia and held various posts at the Ministry for Foreign Affairs of Finland. He has also served with the United Nations in Cambodia in the 1990s. His research interests include the political economy of conflict, fragile states, and the nexus between development and security. Former minister of Water and Environment in the Republic of Yemen (2006-2011) one of the most water stressed countries in the world. AL-Eryani is now the Water and Environment Advisor in the Presidential Office. Before joining the cabinet in 2006 he worked as a national manager for the UNDP biodiversity project in the UNESCO natural world heritage site of the archipelago of Socotra and as a vice chairman of the board of the Yemeni Islands Development Authority. Dr., research scientist at Aalto University. Porkka's work focuses on global water and food security. Her particular research interests are global trade, food waste and diets, and their role in water and food security. Senior Water Adviser at the Ministry for Foreign Affairs of Finland. Rautavaara has worked both as Senior Economic and Senior Water Adviser for the Ministry since 2005. He has strong water and development policy experience also through long-term work experience abroad: including China (UNDP), Ethiopia (Embassy) and most recently 2013-2015 Nepal (UNICEF). LL.D, Senior Researcher at the Finnish Environment Institute. Kauppila is interested in environmental regulation and regulatory impact assessment. He has recently conducted a doctoral study on the implementation of the Water Framework Directive (2000/60/EC) into Finnish legal system. His current work covers an analysis of regulatory strategies for livestock production and recycling of manure. Vice President Sustainability and Energy at Metsä Board. Hietanen has extensive experience working at paper and board mills and in corporate management. Her current responsibilities include managing sustainability issues relating to water, climate and forests as well as product safety and energy. Chair of the Finnish Water Utilities Association (FIWA) and the Managing Director at Turku Water Services Ltd.
Director of Corporate Responsibility at Kemira. Sustainable value creation is an integral part of Kemira’s purpose of helping its customers improve their water, energy and raw material efficiency. Kemira wants to be the first choice in chemistry for water intensive industries including pulp & paper, oil & gas, mining and water treatment. Chair of the Waste-water Division of Water Association Finland. The Director of International Operations of the Finnish Red Cross. Mr. Kalle Löövi has a long experience in humanitarian aid. He has been a key expert in creating coordinator system for the further possible crises and catastrophes domestically and internationally. Mr. Löövi has shared his knowledge for example by participating in the United Nations Disaster Assessment and Coordination group. MSc, Ministerial Adviser at the Finnish Ministry of the Environment. He is working with the national development and implementation of the Water Framework Directive, especially the legislation concerning the protection of groundwater. Gustafsson is a Finnish representative in the strategic implementation group of the Water Framework Directive at the EU level. Head of Operational and Environmental Affairs in the Stora Enso Sustainability Group. Collander's main responsibilities include water, materials, and chemicals. In addition, he works on sustainability reporting, due-diligence, and remediation. He also serves in honorary offices in Swedish forestry industry. Anniina Nurmi is a sustainable fashion specialist. For the last ten years she has worked as a serial entrepreneur in the fashion industry designing and developing sustainable business models. Currently she shares her knowledge about sustainable fashion through writing, teaching and consulting, and developes a ’Clothing as a service’ system for the fashion industry. PhD candidate at Hanken School of Economics. Annala's research focus is in the social aspects of technological innovations and the unintended consequences of technological development – with an empirical focus on the human right to drinking water in Ethiopia and India. MSc Doctoral student and researcher at University of Eastern Finland and Oulu University. Her research focuses on development of environmental benign materials for water purification. Researcher in the National Institute for Health and Welfare, Water and Health Unit. Hokajärvi has broad expertise in water microbiology and she is also involved in water-related health risk assessments. Researcher and doctoral student of environmental engineering and water resources at University of Oulu. Khan's research project ”Optimization of wetlands used for mine wastewater purification under Northern climatic conditions” is funded by Maj and Tor Nessling Foundation. Postdoctoral researcher at the University of Jyväskylä. Ratia is specialized in risk assessment of hazardous chemicals. The project ”Hazardous chemical in municipal wastewater effluents – Enhanced risk assessment” focuses on development of toxicity test methods for hormonal disrupters: brominated flame retardants and perfluorinated surfactants (PFAS). Post-doctoral researcher at the University of Oulu. Wäli's research area is plant ecology and main research interests include ecology of symbiosis, plant-microbial interactions and vegetation shifts in northern ecosystems. She is currently working with plant-microbe applications in bioremediation and looking for new sustainable and cost effective solutions for environmental problems. Professor at Aalto University. Vahala is specialized in water supply and sanitation, especially focusing on smart solutions and resource efficiency and the emerging pollutants. He acts also as an Environmental Expert Counsellor in the Supreme Administrative Court and as a chairman of the Water Association Finland. 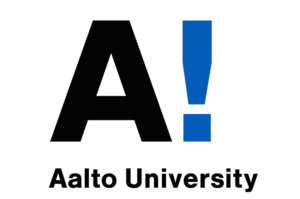 Postdoctoral researcher at the Water and Development Research Group at Aalto University. Her research focuses on corporate engagement on water security and principles and practices of multistakeholder water management and governance processes. Sojamo has been involved in developing guidelines for corporate water stewardship in Finland and internationally. She currently coordinates the SCR-funded Winland project investigating energy and food security and resilience in Finland. University Lecturer of water engineering at Aalto University. Keskinen teaches and studies water resources management, transboundary water governance, integrated approaches, and water and development. Currently he co-leads with professor Olli Varis the SRC-funded Winland project investigating energy and food security and resilience in Finland. Senior Researcher at University of Eastern Finland. Belinskij’s research focuses on environmental and water law. Belinskij has also worked as Senior Legal Adviser at the Ministry of Agriculture and Forestry in Finland. Director of the Division at Helsinki Region Environmental Services. Heinonen coordinates activities related to wastewater treatment operations, regional wastewater pumping operations, sludge treatment and biogas production, composting site operations and biogas power plant in Viikinmäki..
Design Manager at Pöyry Finland Oy. Sahlstedt is specialized in design and consultancy in water, wastewater engineering, and optimisation of wastewater treatment processes. Project Manager at the Finnish Environment Institute SYKE. Vuola has experience of multi-stakeholder environmental cooperation at local, regional and global levels. Her heart beats for water and her professional experience is complemented with her strong commitment and active involvement in water sector NGOs. Saija is the representative of the Water Association Finland. Vice Managing Director at Finnish Water Forum. Mehtonen has a MSc in Techn./Water Resources Management and has previously worked as an environmental consultant both in Finland and UK/London, and as a researcher on the management of shared international rivers with the Aalto University and Yunnan University in Kunming, China. Head of Ecological Footprint Programme at WWF Finland. Nikula has extensive experience in corporate engagement, policy advocacy and consumer choices across different fields of sustainability issues. Key author of the first Finnish Water Footprint Report and a tireless promoter of water stewardship in international value chains. The symposium will be held at the conference center Paasitorni, which is adjacent to the Hotel Scandic Paasitorni. The hotel and venue for the symposium is easy to reach via subway, tram or bus. Thirty rooms have been reserved at a special price for guests of the symposium. Standard Single person rooms can be booked for 145€/night. Standard rooms for two people cost 165€/night. Both prices require bookings to take place before the 7th of February 2017. Rooms can be booked by calling to the hotel +35892311700 or by e-mail to paasi@scandichotels.com, and using the reservation code MAJ200317. For more information on the hotel, visit scandichotels.fi/paasi. The Water at risk symposium will take place at conference center Paasitorni, Paasivuorenkatu 5, Helsinki. For more information on the program, speakers or practicalities, contact the symposium coordinators. The session discusses how political conflicts are related to water. The session identifies the drivers and hot spots of the crises and where these crises might occur in the future. In addition, the session discusses how we can mitigate the crises with international cooperation, and what, if anything, Finland can do to solve these crises. The session consist of short talks by Abdul-Rahman Al-Eryani (Presidential office, Yemen), Olli Ruohomäki (Finnish Institute for International Affairs) and Kalle Löövi (Finnish Red Cross). The talks are followed by small group discussions on the topic. What is the role of water for development, and for the implementation of Sustainable Development Goals – in Finland as well as globally? How does increasing water scarcity effect all this? Water is a crosscutting enabler for development, and it is particularly important for our food and energy security. In many areas, however, increasing water scarcity means that water is also increasingly hindering development. In this session we will look at the linkages that water has with development and SDGs, including the role of so-called water-energy-food security nexus. We will also consider what kind of implications this has for Finland. The session consists of three interesting presentations which lay the foundation for facilitated group discussions, where participants can share their views on these themes. Tor Lundström (Niras Finland) : SDGs – a constraint or a booster for business? How can Finnish companies contribute towards global water security? This session discusses the best ways for Finnish companies to ensure that their water use and its impacts are both environmentally and socially sustainable throughout their international value chains. The session introduces the business case for Finnish companies to take stewardship action, lists best principles and practices, and identifies key development needs for a way forward. How to make business from Corporate Social Responsibility? The session discusses how to make business from Corporate Social Responsibility and how to promote sector leadership by a proactive approach? In addition, the session identifies ways to motivate business to find water-smart solutions. What kind of support, what kind of incentives would help, and what kind knowledge is missing? What motivates a company to be proactive? How can a company retain both sector and CSR leadership? Interactive discussion on the topic. Technological needs in the future. National and global viewpoints. The session discusses technology needs in Finland and elsewhere. What market regions should Finnish companies focus on and why? How to support the creation and adoption of water related innovation in Finland? A TAG-type forum? Introduction: “Trends in community and industry water management and their influence on technology needs in Finland, Europe, and beyond.” Mari Heinonen and Kristian Sahlstedt. The session explores what kind of legislative solutions advance water-smart waste water management and what, in turn, act as barriers and slow down progress. These views are reflected against Finnish legislation and other regulation including self-regulation and against their possible development needs. We address waste water solutions in industry, companies, and public water management institutes as well as in individual households.